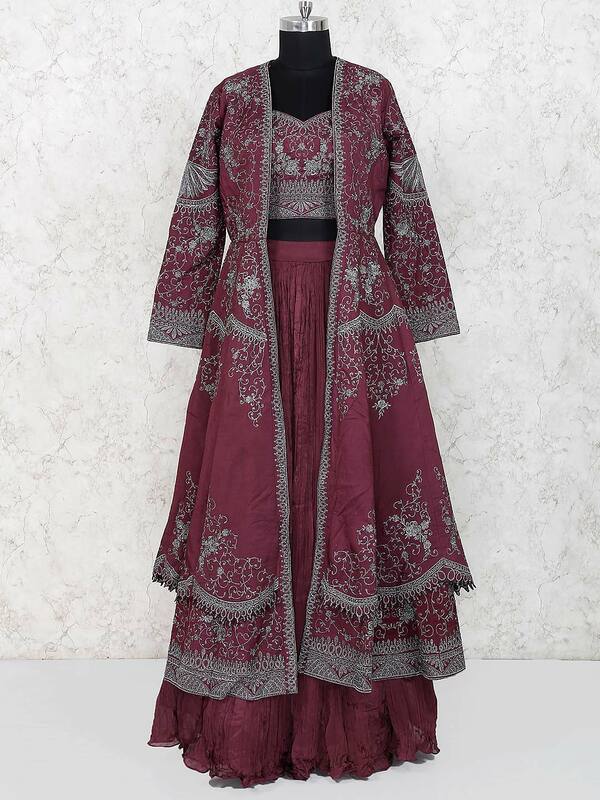 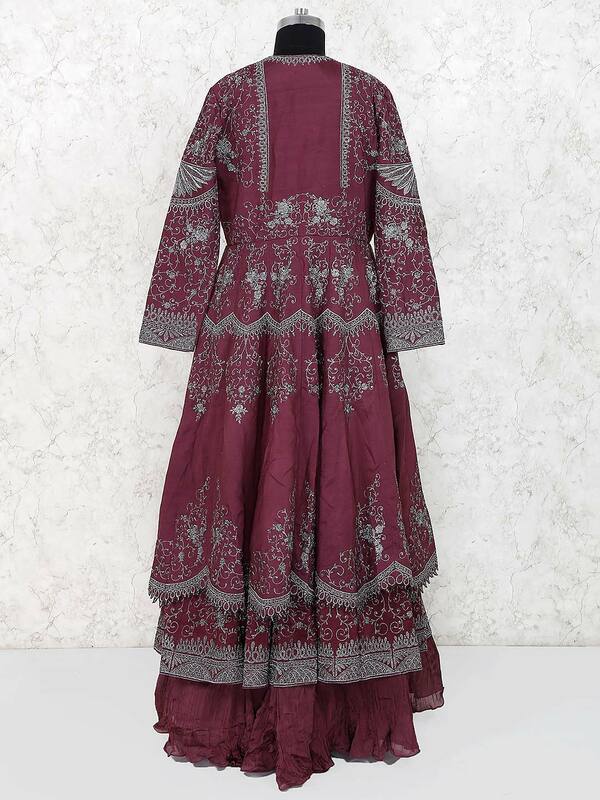 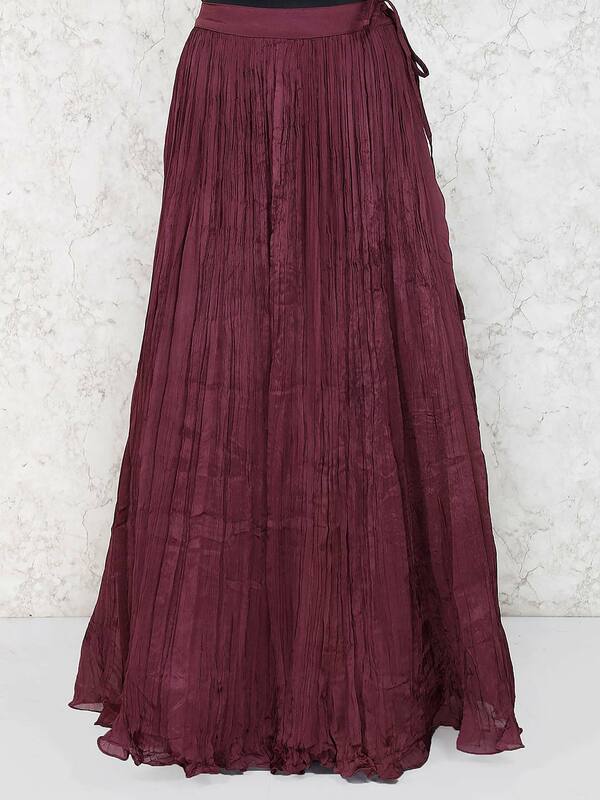 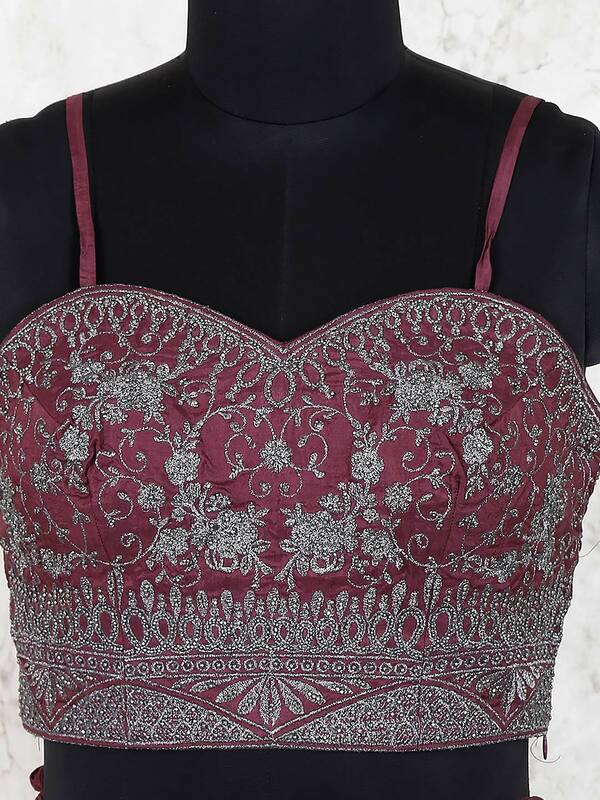 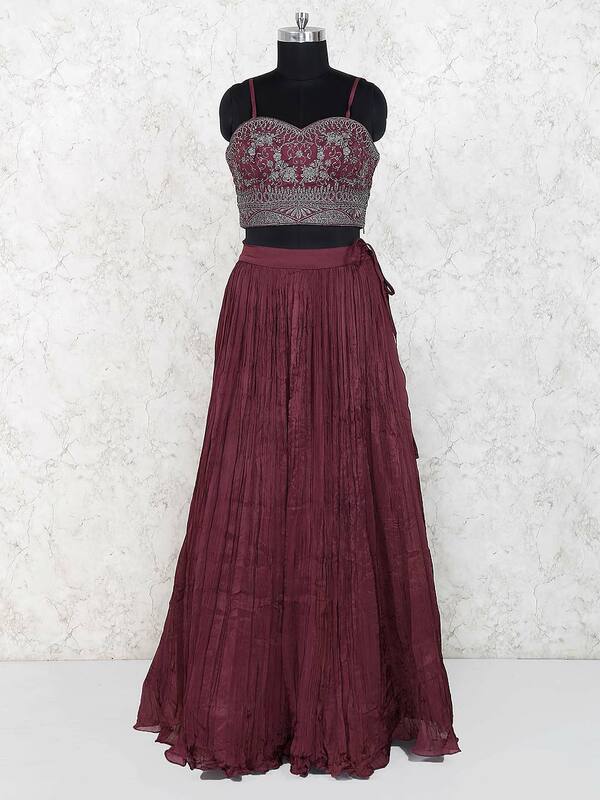 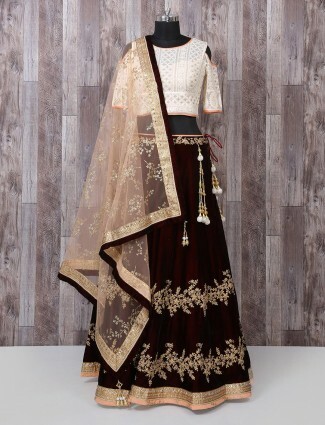 Give yourself a versatile look by wearing this wine hue jacket style lehenga choli. 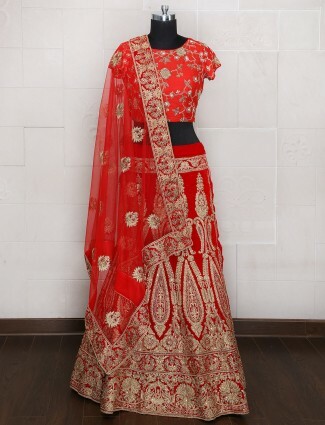 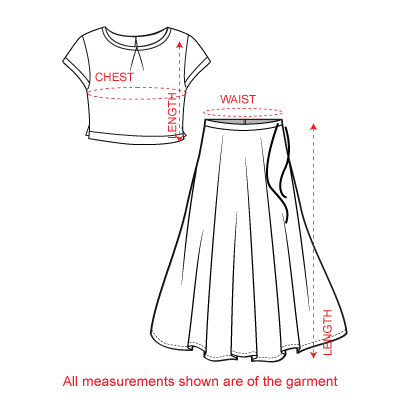 Decorated with zari work through out the attire. 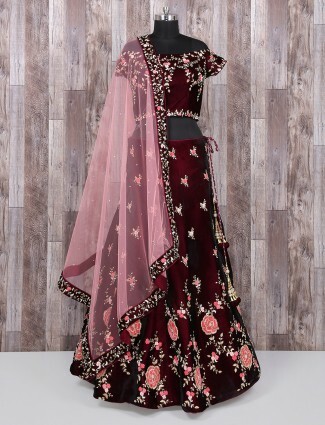 Ideal for party function.